As center and business development directors, we aim to provide products and services that differentiate our centers from our competition – we are always looking for a competitive advantage. What makes our centers stand out may be evident in the faculty and instructors we use, the niche markets we serve, our client list, or the distinctive programs we offer. A unique sales strategy, whether you have a dedicated sales staff or not, helps you play to your competitive advantage and confidently come up with solutions that effectively address both client and market needs. A systemic business development approach maximizes our center's growth potential while meeting and exceeding customer expectations. But, how do we develop and refine our sales strategies? What if our current business development approach is no longer resulting in increased custom training revenue? What is working (or not) for other centers? ProEd’s Sales Institute can help answer these questions and provide a clear and inspired path forward. 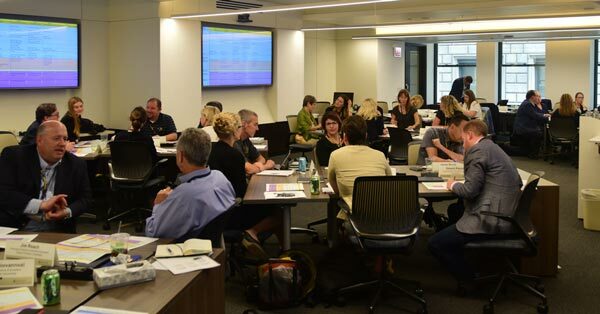 This special 2-day Sales Institute is designed to provide time, space, and peer feedback to effectively articulate a sales strategy and business development approach for your organization. If you have any questions or need assistance please call us at 763-656-3527. "We've always understood that where a sales organization. Getting the engaged sales training is really valuable. The crowd was able to pitch in their ideas and their best practices and I think we arrived at the end with very actionable things that we can take to our team and put forth starting tomorrow." Why: We all need to grow our markets and increase revenue. Take time to think about environment, resources, and opportunities, and start developing or updating your center's custom business engagement strategy. You’ll get help articulating a new sales model with feedback from your peers. Meet new people and reconnect with your peers during ProEd’s engaging and practical Sales Institute! 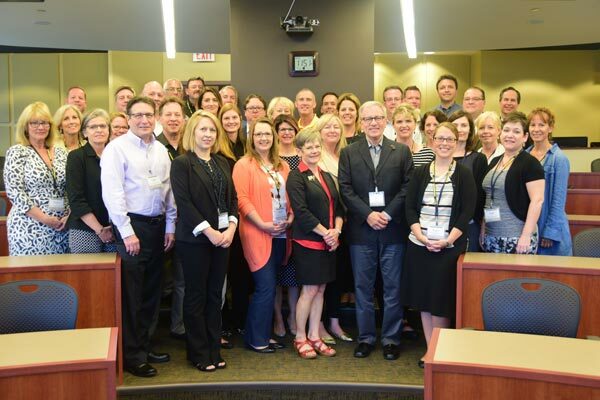 "The Sales Institute provided clear, effective methods and tools for selling custom executive and professional education. I walked away from the Institute with a plan to improve our sales process and standardize our practices. I also appreciated the opportunity to network with peer universities and compare common challenges and best practices." Lesa Bergsma, is Professional Development Manager at the Institute for Professional Excellence (IPEx) at Davenport University. She is a training and development professional with 12+ years of experience helping to drive student and organizational success. Lesa has the keen ability to build and support training initiatives through relationship building and a commitment to meeting local professional and business needs. Currently, Lesa serves as the Professional Development Manager for the Institute for Professional Excellence (IPEx) at Davenport University. In this role, she develops and markets training and certification programs to professionals and organizations. "We are working with some great facilitators who really understand the content and had really be able to demonstrate that they're experts in what they do and how they do it. Particularly valuable for me has been a set of tools that I can apply to my work really quickly." This program is designed for people responsible for developing and implementing sales strategies for non-degree business, professional, and executive education centers at universities. This usually includes executive education units in business schools, management or professional development units within continuing education schools, or stand-alone entities reporting directly to a dean or other high level administrator. In most cases, attendees have titles that include Assistant Dean, Director, Executive Director, Custom Program Director or Business Development Manager. They all have the common challenge of creating revenue-generating custom engagements and maintaining mutually beneficial relationships with organizations. Their centers serve the business community by offering custom training engagements, consortia programs and/or open enrollment programs. 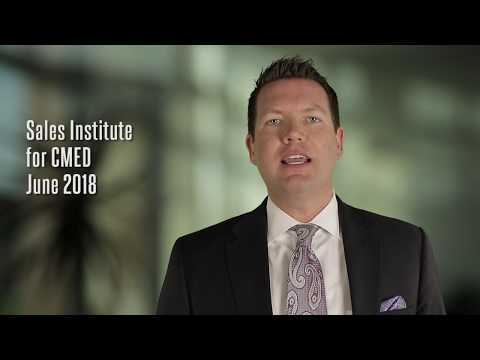 If this sounds like you, please join us for this 2-day institute to examine your current sales and strategy model, explore the internal and external factors influencing your success, and discuss sales strategy development options. "In addition to specialized executive education sales training we’ve got a network of peers and people who are dealing with the same issues. I feel like I'm walking away with a whole network of people I can call on." Rate of $159/night - Standard Double Bed room or King (excluding Taxes & Fees) rate will be available until Friday, October 5th or until the group block is sold-out, whichever comes first. To make your reservations call 866-247-3571 or 407-425-4455 or use online registration option on the conference site. Mention CONFERENCE ON MANAGEMENT & EXEC DEVELOPMENT for the special rates. Overlooking Lake Ivanhoe, DoubleTree by Hilton Orlando Downtown offers a convenient location just off of I-4. Take the hotel's shuttle to downtown's Amway Center and Orlando City Soccer Stadium. Visit surrounding businesses and cultural venues including Dr. Phillips Center for the Performing Arts, Camping World Stadium (previously known as the Citrus Bowl), Orlando Science Center and Orlando Executive Airport. Located 20 minutes from Orlando International Airport (MCO) and the Orange County Convention Center, our hotel is convenient to Winter Park, Universal Studios®, SeaWorld Orlando® and Walt Disney World® Parks, outlet malls, dining and golf. $159/night - Standard Double Bed room or King (Excluding Taxes & Fees). High-speed internet access is available to all guests. The discounted room rate is in effect arriving November 4th, checking out on November 10th, 2018. The room rate is subject to applicable state, local taxes and any surcharges in effect at the time of check-in. Check in time is 3:00 pm and check out is prior to 12:00 Noon. The special room rate will be available until October 5th or until the group block is sold-out, whichever comes first. Room Reservation Deadline: The special conference rates and amenities are only available for reservations made through October 5, 2018. After that date, availability will be limited and rates may increase.